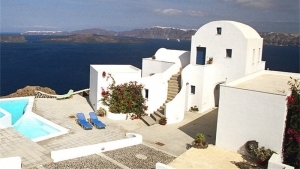 Kokkinos Villas is situated in a beautiful place in Akrotiri, close to a small beach (named Caldera). 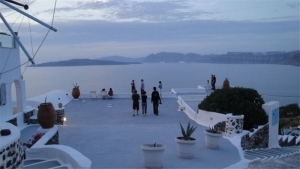 It offers magnificent views of the caldera, the volcano and the villages on the western part of the island. 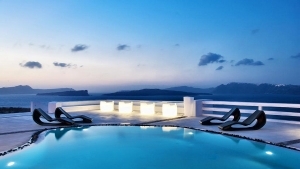 Kokkinos Villas is a family-run hotel and they will love to be of your service 24 hours a day to help you with their personal recommendations and arrange for your travel tours. 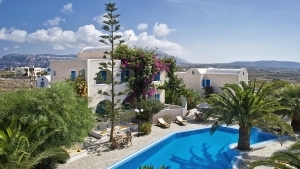 The hotel serves traditional local and Greek specialties at the Remezzo tavern, located next to the hotel. For the more adventurous, on the beach there is a scuba diving school. The hotel is at a short distance from the Akrotiri Excavations site, the unique ancient ruins of 1500 B.C. Luggage Storage, Air Conditioning, Safety Deposit Box, Non-Smoking Rooms, Express Check-In/Check-Out, Family Rooms, Garden, Terrace, Sun Terrace, Private Beach Area Activities. Free private parking available on site (reservation is not needed). Activities: Massage, Hiking, Fishing, Diving, Horse Riding, Canoeing, Snorkeling. Services: Fax/Photocopying, Car Hire, Tour Desk, Ticket Service, Airport Shuttle (surcharge), Shuttle Service (surcharge), Private Check-in/-out, Water Sports Facilities on site.